Susan May Warren finally gives her loyal readers Pete Brooks and Jess Taggert's story. And what a story it is! We have suffered with, trusted for and longed for this couple for several books now. Warren delivered magnificently with their own book, too. Pete Brooks has always felt like a screw-up, always jumping in, putting his life on the line, never stopping to think what might be the consequences of his actions. But he loves Jess Taggert. Loves her in a way he didn't even imagine could be possible. But Jess has hurt him so much. She has promised to be there for him several times and yet several times has left. Pete doesn't think he can handle anymore, doesn't believe any reason Jess gives him will be enough to soothe his pain. But he can't get this woman out of his heart. She has a permanent place there, no matter what she does. Jess Taggert has always just wanted to not cause pain to anyone. She doesn't want to be the cause of anymore problems. Ever. She can't bear to hurt anyone else again. Even if she destroys her own heart in the process. She just can't grasp the fact that she can't please everyone all the time. Even if she tries and gives it her all, somebody is going to get hurt. But she loves Pete. She loves him so much. This couple has had a place in my heart for several books now. When I first met them, I wanted them to have a happy ending. But oh, the pain they endure. Susan May Warren always manages to pack so much emotion in her books, it's absolutely incredible. We FEEL the pain these folks are going through, are right there in the danger they face, and believe me, there is plenty of danger here, for someone is stalking them in the desolate, wintry woods. And she also manages to include such a powerful spiritual thread in the midst of all this emotion. God is our rescuer, not someone else. We just have to trust Him and lean into Him and allow His sweet peace and healing to flood our hearts. This is the message here. We may think we know the best way, but God truly does know the best way. We see more of Shae Johnson here and Ned Marshall and we also meet a few folks that I feel, at least, I hope, Warren will give us more of in a future book or books. Because I think they have a story to tell. 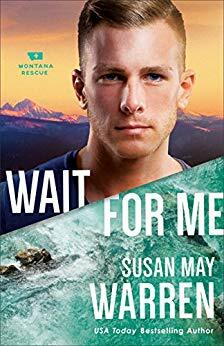 I never, ever miss a Susan May Warren book and they all sit proudly on my shelves. Definitely worth a re-read, all of them. Highly recommended. *My thanks to the publisher and author for a preview copy of this book. The opinions stated here are entirely my own and I was under no obligation to review, nor provide a positive review. Pete Brooks can't believe he's waited an entire year for Jess Tagg to return to Montana, only to have her break his heart by getting engaged to her ex-fiancé. Worse, a series of mistakes on the job have cost lives, and Pete isn't sure he wants to continue to work in Search and Rescue. Maybe if he can just get over Jess, he can figure out how to move forward. I'm reading Take a Chance on Me. It's keeping me up late. 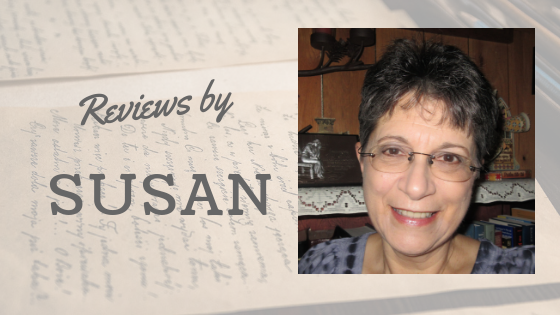 That's the deal you get when you pick up a Susan May Warren story! Honestly, she makes me a better writer.